As the adage goes, a house is not a home until you make it your own. Bizal Built is a household name in Edina. As a premier general contractor known for its residential construction and remodeling work, a majority of its business comes from the referrals of satisfied customers. It’s no surprise readers selected Bizal Built as a finalist for best homebuilder and remodeler in Edina. Jim Bizal got his start in construction in high school and turned it into a full-service, design and build company with a qualified team of subcontractors and suppliers who work to ensure the client experience is top notch. 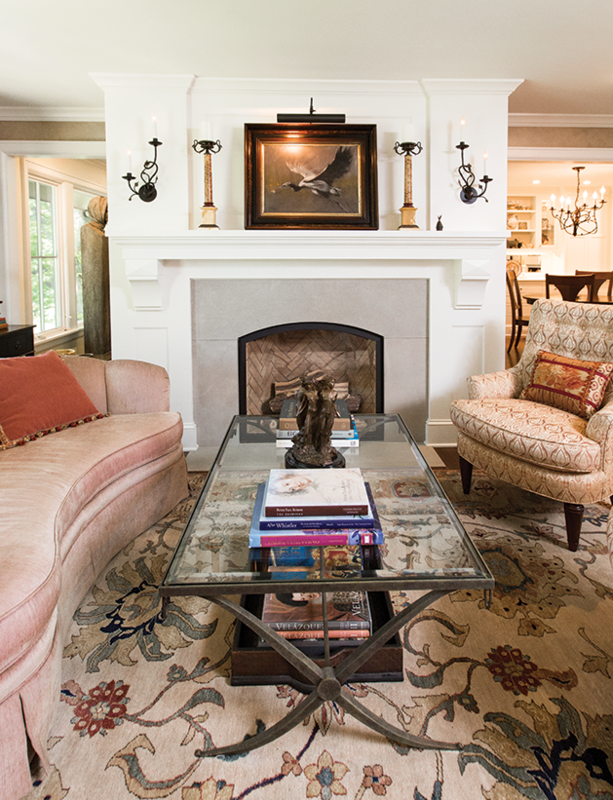 Keith and Anne Dixon are two of those incredibly satisfied clients with a beautiful Edina home overlooking a small lake in the Indian Hills neighborhood. Formerly Minneapolis residents who were looking to downsize and find a house they could truly enjoy for the rest of their days, they purchased a rambler about five years ago and turned to Bizal to transform it into their dream home. Somewhere they could age in place, while enjoying the beauty Minnesota has to offer with a few less stairs to contend with. Given the proximity of the home to the lake, they were limited in their ability to add square footage to the property. But Meyer was able to see past the initial structure and find creative ways to better utilize the existing space while showcasing the beautiful neighborhood where they purchased, bringing the Dixons closer to nature with the ability to live on one floor. The entire back of the house was reconfigured from new and larger windows allowing the Dixons to take in the lake views, and a reworked floor plan to better meet their needs. Two bedrooms were transformed into a master bedroom with a master en suite and closet. The master closet even includes laundry hook-ups should they need to limit their living space to the main level of the home in the future. Custom cabinetry throughout maximizes the smaller footprint of the home but still allows organized storage. Both homeowners have a love of books, which are prominently displayed in every room on beautiful custom shelves. From cookbooks to art history, each of their treasured books has a place. The lower level remodel was minimal with a focus on creating a space that could accommodate live-in help if ever it should be needed. For the time being, this space is inviting and cozy, perfect for the Dixons’ visiting children and grandchildren when they’re in town. Keith had a number of special considerations both Bizal Built and the other on-site contractors took seriously. The front yard included two mature oak trees he wanted maintained and preserved throughout the remodeling and landscaping process. “From ensuring no building materials disturbed the root system of the trees to meticulously maintaining the worksite each day, every last detail was attended to,” Keith says. Bizal’s team—along with Clayton Johnson, senior landscape designer at Yardscapes (also a Best of Edina finalist)—worked well together to bring the Dixons’ vision to life. Johnson saw the potential of the property and created outdoor spaces that were both beautiful and functional. Outdoor priorities included creating a nice aesthetic with a sense of entry to the home while keeping the landscaping low maintenance and adding a degree of privacy to the property. While the Dixons owned the home for several years before starting the remodeling process, things moved quickly. Time afforded them the ability to think about how they wanted to live in their new home and make strategic decisions prior to starting the remodeling process. 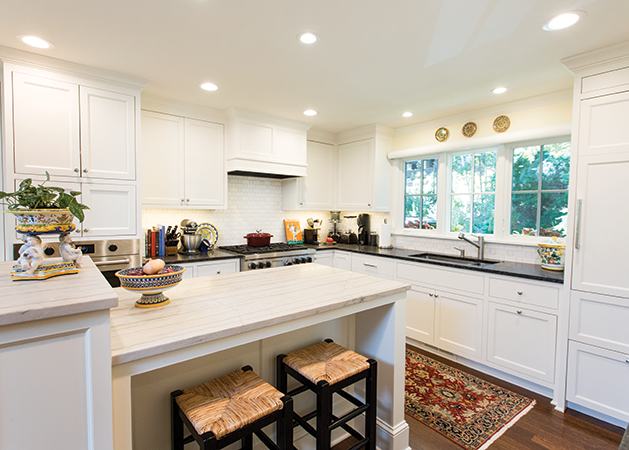 Bizal and his team were ready when the time came to get started and the entire remodel process took about nine months, even meeting the deadline of celebrating their first Thanksgiving in the home in November 2016. To learn more about Bizal Built or to request an initial consultation, visit bizalbuilt.com. 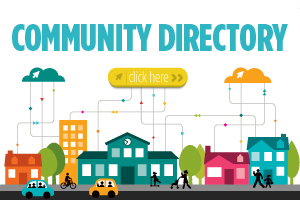 Jim Bizal is known and loved by his clients and the community. This year, Bizal was recognized with a leadership award from Connecting with Kids. Nominated by Thomas Cook, rector at St. Stephens Episcopal Church in Edina, Bizal’s impact reaches far and wide. Cook noted Bizal regularly shares his time, experience, skills and genuine concern for youth in and around Edina, providing opportunities to have an impact across the world. “These teens return home with a broader perspective of the world’s needs ... and even some new skills in carpentry and leadership,” Cook says.